Like always, my daughter Ramya really enjoyed her eighth birthday. We got a cake from a bakery nearby and called the children near our house for some snacks. The next morning, Ramya woke up in tears crying because her stomach hurt. We told her she shouldn't have eaten so much cake. Little did we know how wrong we were. 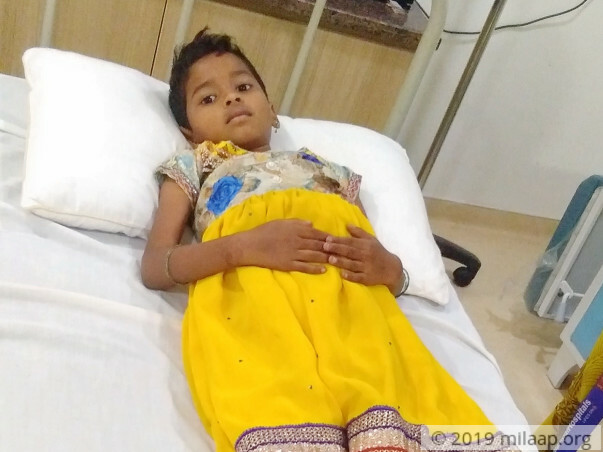 We took Ramya to the doctors in our village Piduguralla and the nearest town Guntur. We were shocked when they both told us that we needed to go to a bigger hospital. Something was seriously wrong with our healthy, active girl. 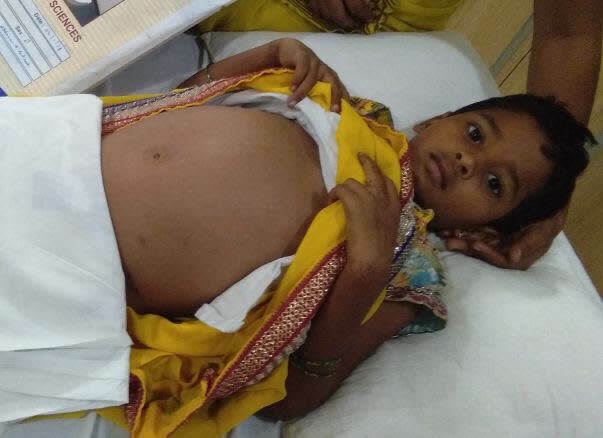 Doctors here told us she was born with a dangerous disease that was slowly damaging her liver all these years. Out of nowhere they told us that her liver was completely damaged. She needed a liver transplant as soon as possible. It took some time before we could accept what had happened. It has now been almost three months since Ramya's birthday and in just that much time she has become unrecognisable. Ramya was the beauty of the house – so lively, bringing happiness wherever she went. She stopped going to school and when we went to collect her marks card – they told us she had got first rank. She is now extremely thin and hasn't eaten for two days. We don't even have the strength to try and force her to eat when she tells us that being sick after eating takes away what little energy she has. My wife and I – both just want our daughter's suffering to stop. We both got tested to see if we could give her our own liver and my wife Radhika is a compatible donor. Especially in the last few days, Ramya has become so much sicker. She does not retain any food. All she speaks about is her stomach pain. Her skin has become dark and she has lost so much weight. The doctor has given us one week's time. 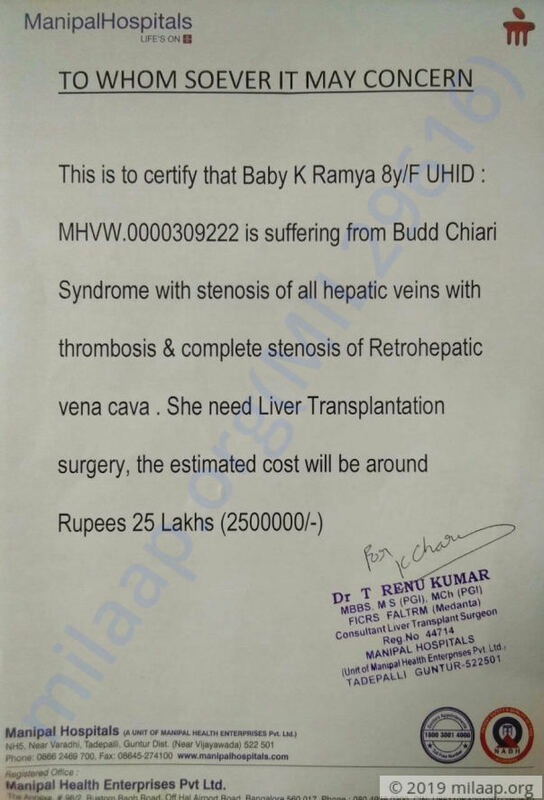 We are already lakhs in debt and Ramya's liver transplant is simply beyond our means. We have a week to arrange Rs 25 lakhs. Though my wife keeps telling me – we'll somehow arrange it, the truth is we have no way to put together that much money. I am an autodriver in my village and the days I get work, I can earn Rs 300 for that day. 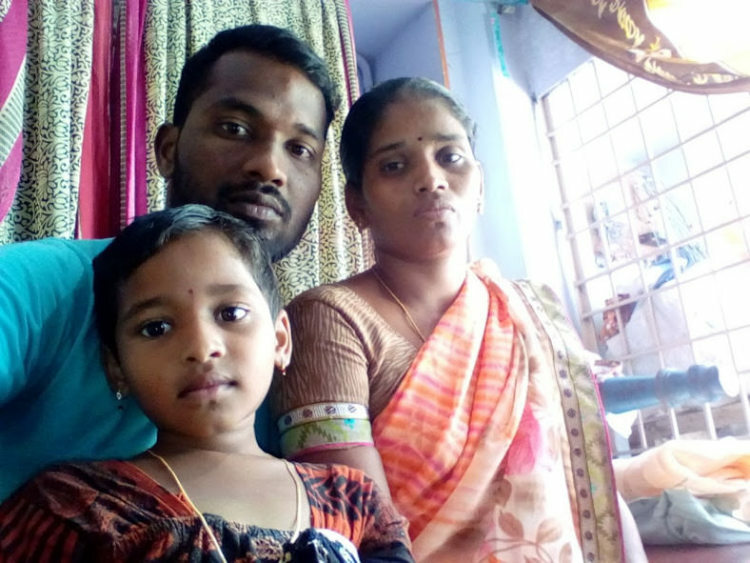 With Ramya's sickness I have not been able to go out and work because I am in the hospital. Unfortunately for us, my father and I both had surgeries last year. I have borrowed more than I will ever be able to pay back. My daughter means the world to me. Every evening she would come to me asking me if we could go to the bakery for a treat or visit the temple. She loved to laugh. Her absence at home has turned our world dark. We are praying and hoping that a miracle happens and she can come back to us. Raising funds online is our last and only hope. I really need all the help I can get to save my child. 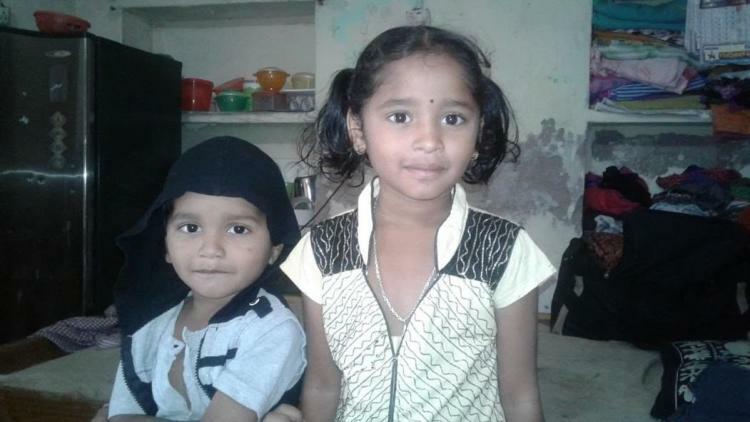 Please help me save Ramya. 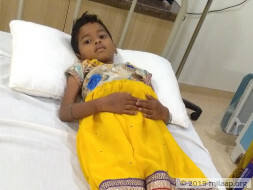 Little Ramya will lose her life if she doesn’t get a transplant soon. She needs your help to beat this rare life-threatening disease. I am grateful to all of you for the immense love and support. 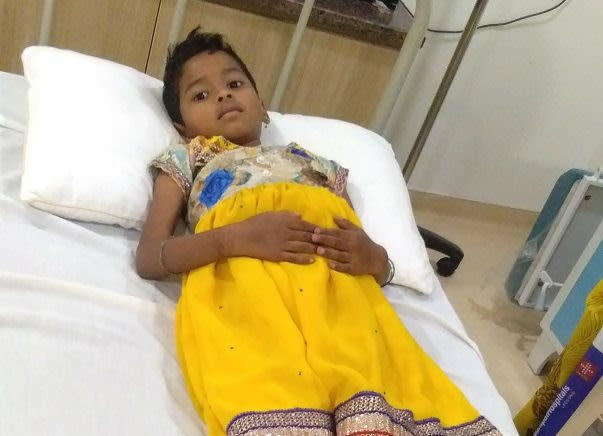 Ramya underwent her transplant successfully with her mother as the donor. Presently she is stable and recovering. I request you to kindly contribute and share the campaign. We are very hopeful of a complete recovery soon. 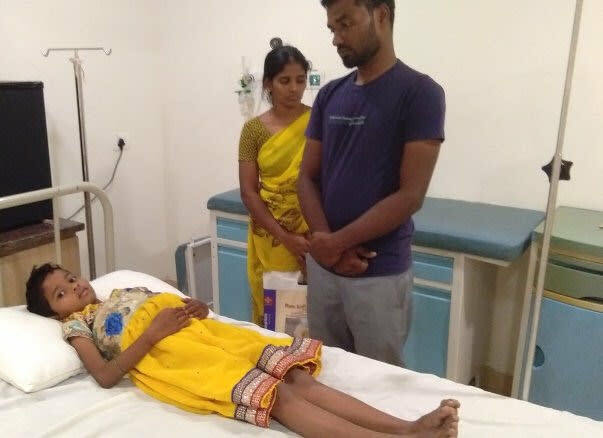 Ramya underwent an transplant surgery 15 days ago and she was discharged from the hospital recently. There has been some signs of improvement in her health and the doctors have suggested check-ups every 6-7 days. The donor was her mother and she's fine now. Doctors will closely monitor her health in the coming days to check symptoms of rejection. My family sincerely thank each one of you for the love and support, please pray for her speedy recovery. We shall keep you posted. Thank you for your generous support. We're yet to find a donor for my baby Ramya. She is currently unable to consume any food because of complete liver damage. So, the doctors have prescribed an entirely liquid diet which includes glucose and juices. She is in pain all day and complains of being unable to do things that normally a kid of her age would. My wife and my baby have been undergoing tests. We're yet to go see the doctor again, post which I'll have more to share with all of you. Thank you all again, for being so supportive and considerate. Please keep praying for my child.